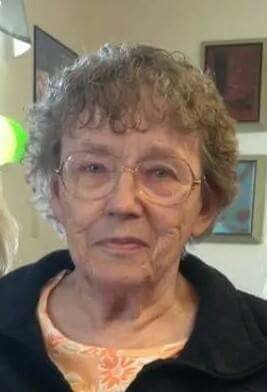 Geraldine “Gerry” passed away peacefully on April 13, 2019 in Liberty Lake, WA after a long battle with Alzheimer's. She was born in Fargo, North Dakota on April 29, 1931 and grew up in Mott, North Dakota. Gerry was in Girl Scouts, the Rainbow Girls, was a high school cheerleader, the freshman class president, prom queen her junior year, and editor of the annual her senior year. During her high school years Gerry worked at the Mott bakery, at the Mott Theater as an usher, and in the courthouse. She graduated from Mott High School in June of 1950. Gerry married her high school sweetheart Steve on October 25, 1950. They were married 47 years until Steve passed away in 1997. The couple had 7 children together. After their marriage, Steve and Gerry moved to Fort Rucker in Ozark, Alabama and then to Fort Benning in Columbus, Georgia. In 1954 they moved to Spokane. In 1967 they bought a large house with acreage in Otis Orchards where Gerry was a homemaker and stay at home mom for their seven children. She was an excellent cook, had a large garden, and loved her flowers. She had numerous beautiful flower beds and was a member of the garden club. Gerry was interested in bird watching, she had bird feeders and bird baths all over the yard. She lived in the family home for 47 years. The real joy in Gerry’s life came from her family. Her home was a regular gathering place for holidays, parties, and family events. Gerry supported her family unconditionally and always put the welfare of others before herself. Gerry was preceded in death by her mother Adelia Soehren, husband Steve, her sons Dale and Brian, and daughter Brenda Whitlow. Gerry is survived by her son Scott (Joann), daughters DeeAnn Howe Weiler (Lori), Jody Thulon (Kevin), and Laurie Awbery (Jeff), son-in-law Mark Whitlow, daughter-in-law Patti Weiler-Janke, 11 grandchildren, 14 great grandchildren, one great-great granddaughter, nieces Peggy Weisz and Emily Morris, and cousins Lauretta Bolte, Marvin Soehren, and Lee Soehren. Gerry’s family would like to extend their gratitude to all the staff at the Guardian Angel homes in Liberty Lake and Hospice of Spokane. The love and care you gave to Ger-Bear means the world to us. Memorial contributions may be made in Gerry’s name to Hospice of Spokane. 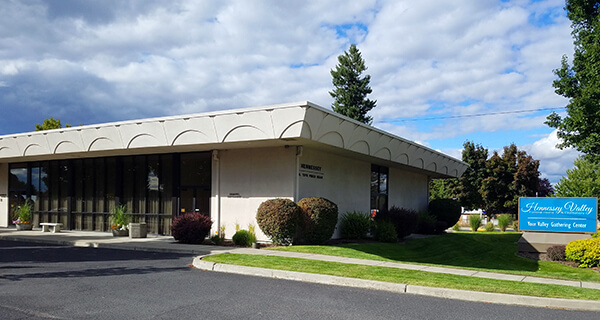 A memorial service will be held at 10:30 a.m. on Saturday, May 4, 2019 at Hennessey Valley Funeral Home, 1315 North Pines Road Spokane Valley, WA 99206. Please share memories of Gerry in her guestbook. There's still time to send flowers to the Memorial Service at the Hennessey Valley Funeral Home from 10:30 AM to 11:30 AM on May 4, 2019.